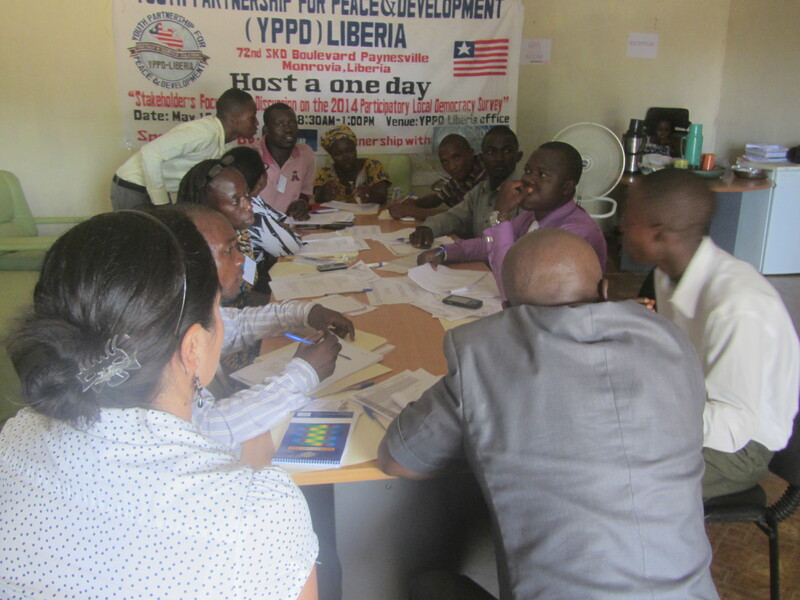 Y PPD Liberia had a very fruitful first Focus Group Meeting on Participatory Local Democracy with 10 participants from Liberian Civil Society Organizations. There were members and volunteers of YPPD Liberia in attendance. The people attending the focus group, showed a genuine interest on the topic. They gave a lot of inputs to explain their points of view. Between the main points observed we saw the different perceptions and points of view of how things work in the capital (Monrovia) and outside the capital in the counties and rural areas. When discussing the legal area the group was able to reach a consensus in a very easy and fast way, but not on the perception area. We could see more debate and exchange of different points of view on these questions. May 15, 2014 in Focus Group Meetings.